Regional NSW is the largest and most significant economy of any Australian state. Over one-third of NSW residents live outside greater Sydney in diverse, regional and remote communities. And regional NSW is a key priority area in the Government’s 10-year policy framework, Create in NSW. The Cultural Tourism Toolkit aims to help invigorate cultural tourism in regional NSW by assisting small regional communities to enhance profile and package their arts and cultural offering. For these communities cultural tourism means greater participation in local events, more visitors to local galleries and museums and broader economic benefits for small businesses through increased visitor numbers and longer visitor stays. The Toolkit makes practical suggestions to support planning for cultural tourism and includes a number of case studies that show the different ways towns and regions are promoting their arts and culture to tourists. 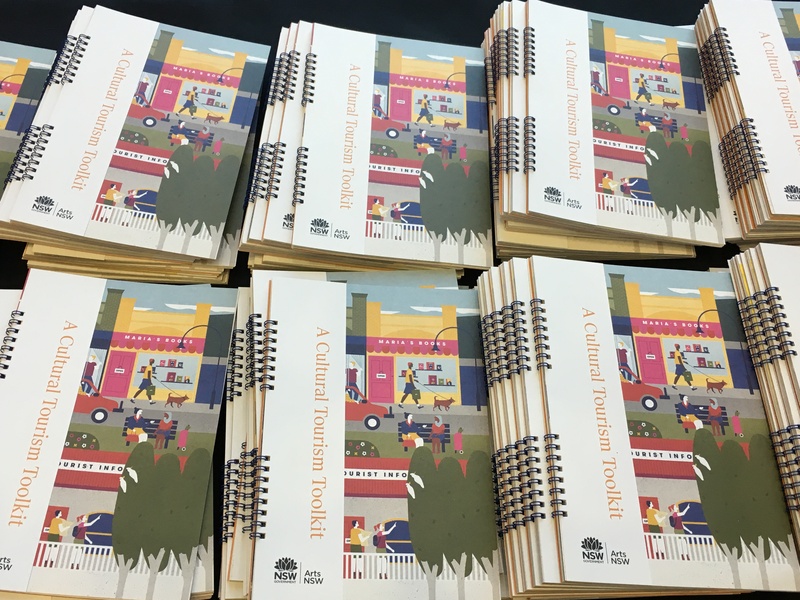 The Cultural Tourism Toolkit will assist artists, businesses, arts and cultural organisations and local government on ways to encourage growth of regional arts and culture, bringing greater support for our local artists. It was launched by Deputy Premier and Minister for the Arts Troy Grant in Dubbo at the opening of ARTLANDS, the national conference for regional artists and arts workers from across the country, and is available to download below.